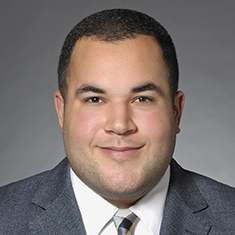 Mitchel Garnett concentrates his practice on corporate matters, with an emphasis on private equity transactions, joint ventures, and mergers and acquisitions. Mitch also provides general corporate counseling to public and private companies, private equity funds and their portfolio companies, advising on corporate governance issues and commercial contracts. He has represented strategic and financial buyers and sellers in M&A transactions spanning diverse industries and through all stages of a transaction. Mitch has also represented a number of professional sports teams and has assisted these clients in a variety of transactions, including acquisitions, sales, equity and debt financings, team expansions, sponsorship agreements, and executive and coach employment agreements. Mitch also maintains an active pro bono practice and represents asylum seekers in legal proceedings. Shown below is a selection of Mitchel’s engagements.